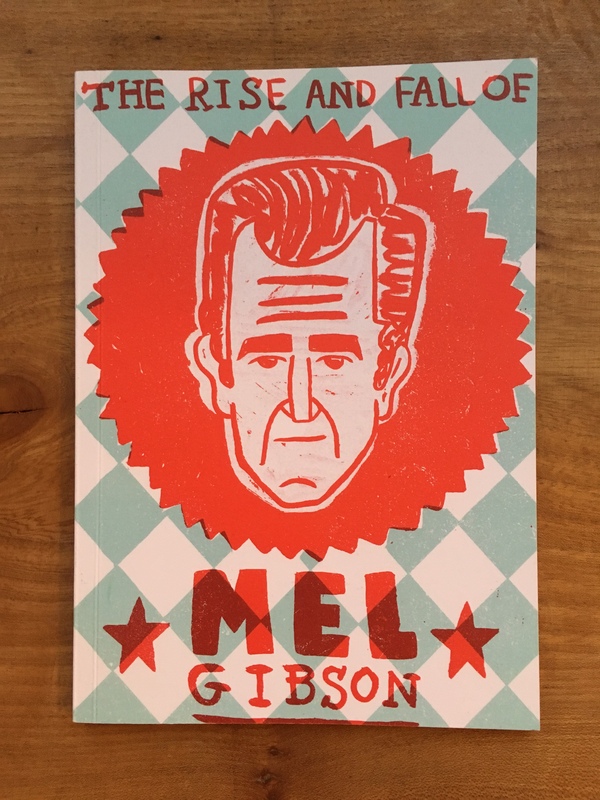 Whatever happened to Mel Gibson and who is he really? 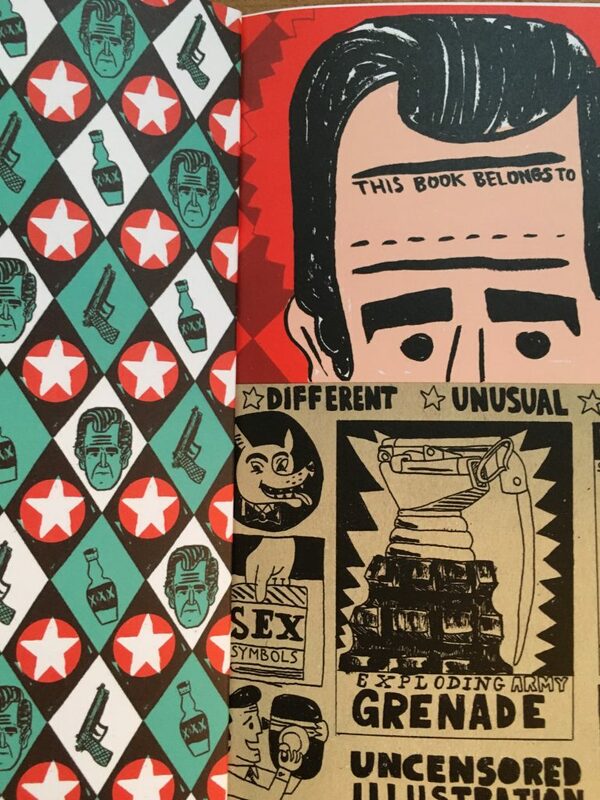 This is what illustrators Zeel and Aiden Saunders asked themselves and the result was an exhibition called ‘The Rise and Fall of Mel Gibson’ held at the Peckham Pelican, South London in late 2015, featuring some 27 illustrators/comic book artists. Hot on its heels came the book, and I was asked to contribute a piece of writing to it. There is a foreword, but as my piece appears in the back I guess it could be called a backword. I’ve come to Norway to do some research into Mel Gibson and his seminal film, What Women Want. Although the film came out in 2000, and was quite popular in Norway that year, incredibly, fifteen years later, it is still the highest grossing film here. At the Oslo Film Foundation, recent research has revealed that the average Norwegian has seen the film 13.3 times. Sometimes films get lost in translation when they cross the Atlantic, but in this case the film bound for Norway was actually lost. Ragnar Holst Sørland, a fisheries scientist, was given the task of importing What Women Want. He had made a series of highly successful films of fish for television. In Norway people love to see slow, contempletive films of trains going from one side of the country to another, for example, or rain pattering on a corrugated iron roof, or twitching curtains, all in real time. The trouble was after Sørland’s astoundingly low key film Fish Sleep Too the genre seemed to be exhausted. But what does all this have to do with What Women Want, a film about a chauvinistic advertising executive, played by Mel Gibson, who electrocutes himself in the bath and suddenly is gifted with the ability to hear women’s thoughts? Surely that couldn’t be boring? It’s true, Sørland was pretty disappointed when he saw this film. He had never done product placement, but this film was practically an advertisement for Nike. They even had Nike executives play themselves in a key pivotal scene. He didn’t like scenes with pivots either. The protagonists in his film were fish of the most easy going nature, so would blow any rampant egotistic alpha male like Gibson out of the water. As he sat through the film in Gibson’s own private screening room in LA, he had to stifle yawns. In one scene, Gibson was supposed to be sampling products aimed at women such as lipstick, leg wax, and mascara, to get insight for a pitch to his advertising boss the next day. Instead of putting his mind to it, he wastes his time drinking red wine and dancing around his apartment to Frank Sinatra. He even rips a decent pair of tights. Ragnar tries to understand the premise of the film. Why doesn’t Nick Marshall respect and understand women in the first place? Why does he find having a female boss a problem? Don’t they have a women’s quota? On the ship back to Norway, Ragnar has just six months to rework the film. In his tiny cabin he works with scissors and glue, cellophane and burned matchstick heads to recreate a film that could just merit his journey. After four months he pauses to look out the porthole, then resumes his work. The Oslo Film Foundation screens What Women Want. It is a 24 hour frame by frame version of the scene in which Mel Gibson waxes his right leg. The part that Ragnar finds particularly successful is the four hour scene of the wax heating up in the sink in its little tub. How that scene was wasted before in a matter of a second? The scream Gibson emits when ripping off the wax strip now has a spiritual quality. Slowed down, it is hard to tell if there is really one tone or more, but at times it sounds like a Mongolian throat singer, uplifting. Pleased with his work, he decides to set off on a vanity project, ‘sink or sink’, a film about a carp’s journey to the bottom of a pond. He has also made a friend across the pond. Mel Gibson has agreed to introduce him to a friend or two in Hollywood. Maybe they will knock out some slo-mo films together, as Mel calls them. They even have a working title: What Fish Want.